Create the perfect HDRI environment in minutes with Lightmap HDR Light Studio. Lighting shots is now fast, precise and easy. 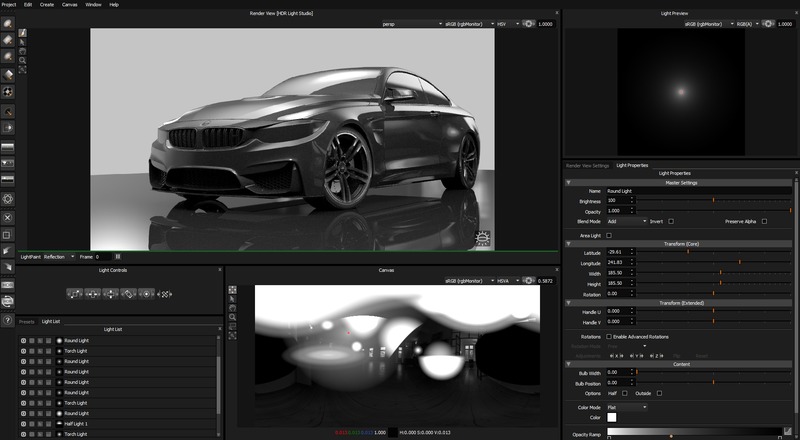 Simply click on the model to position lights on a live HDRI map. What is the workflow with HDR Light Studio standalone? Light Content Properties have been tabbed to save space and reduce the need for scrolling. Right Click on Content Preset thumbnail and choose 'Apply to Current Light' to apply (Master Content). Drag and Drop Content Presets onto lights in the Light List to apply them (Master Content). Easily add a batch of images to your User Presets, as Element: Images, by dragging and dropping the images onto the Presets panel in HDR Light Studio. Resolution of loaded image is now shown on light properties panel. Change in behavior: Middle mouse wheel scrolling does not scroll through the contents of a drop down list when the cursor is over the drop down. This change in behavior prevents accidental changing of light properties when scrolling up and down the light properties panel. Updated to support RenderMan 22. Fixing issues with latest Octane Render (API was overhauled and broke HDR Light Studio compatibility). Maya/Octane: Later release of Octane broke HDR Light Studio compatibility. This has now been fixed. Maya/Octane: Fixed a potential crash issue when starting the Octane IPR in Maya via HDR Light Studio. 3ds Max/VRay Next: Fix issue with toggling area lights on and off. Production Render crash fix when lights are placed with a latitude of 90 (at the bottom of the map). VRED - 2017, 2018 (Windows only) - No additional plug-in installation required. 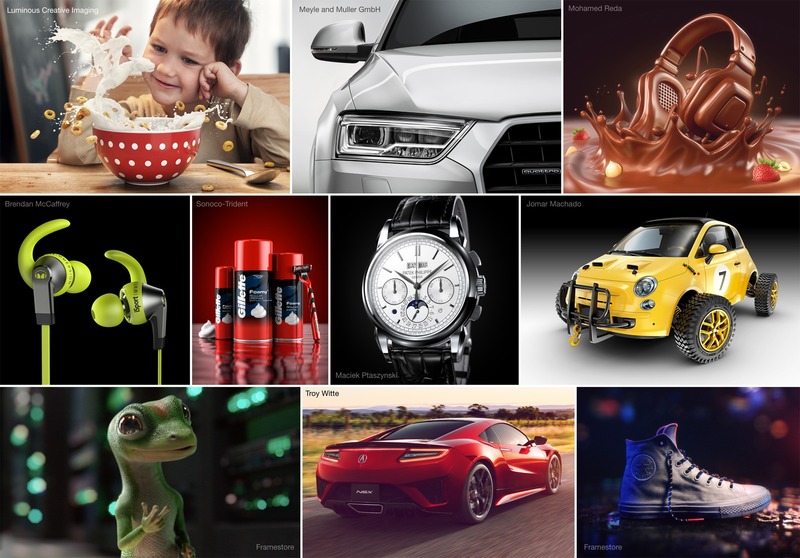 SOLIDWORKS Visualize - 2017, 2018 (Windows) - No additional plug-in installation required.